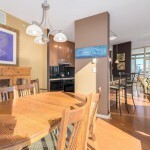 Welcome to THE MELVILLE, this elite level home boasts 1,395 sq ft of AIR CONDITIONED comfort. 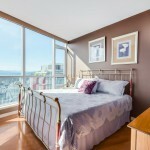 Forever sweeping VIEWS are enjoyed from all rooms. 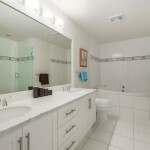 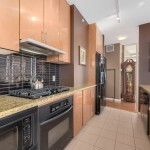 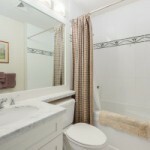 This 2 BEDROOM, both ensuited, 3 BATH home is move in ready. 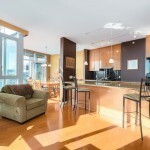 Highend oak flooring runs throughout the home. 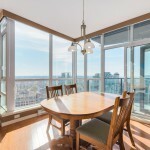 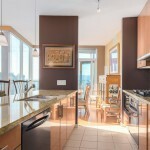 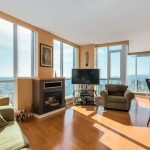 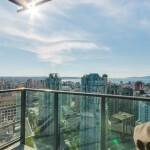 9 FT CEILINGS capture amazing sunsets over English Bay. 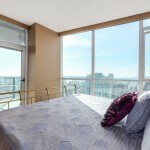 The large master wing encompasses an upgraded ensuite as well as a walk-in closet. 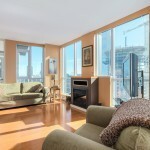 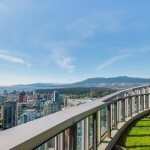 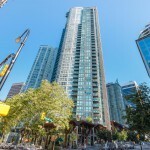 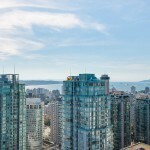 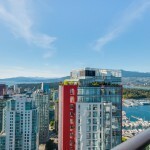 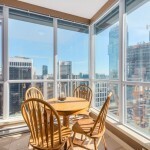 Located in COAL HARBOUR, this one owner home shows pride of ownership. 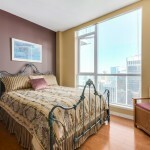 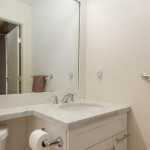 2 PARKING and STORAGE locker are included. 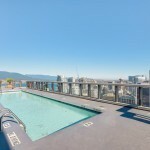 The amenities in the Melville include 24 hr CONCIERGE, outdoor pool and hot tub, gym and SKY GARDEN all located on the 44th floor. 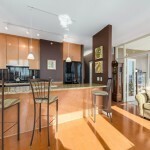 The 3rd floor lounge is great for entertaining.